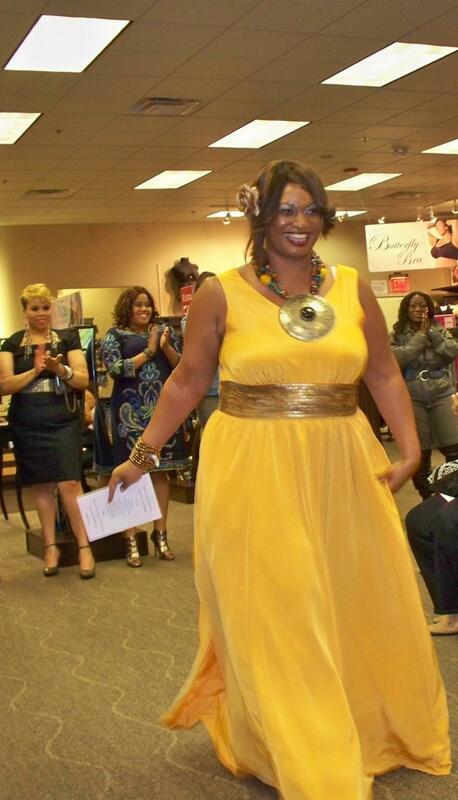 For my fashion show the other day I chose to wear this long flowing gown by eShakti. You have heard me speak of this company before. They let you customize your dresses from what they have in stock. All you do is choose a dress that you like then submit your correct measurements and choose whatever neckline, length and sleeve-type you want and it should ship within three days. I’m wearing the the long sequin georgette crepe gown. I have been waiting for the perfect occasion to wear this dress for over four months now. I just love to dress up in gowns. Since I was the host of the fashion show I wanted to be in something that really stood out. (Plus I had already put all my models in my fave looks from the store where I held the show). This particular dress also comes in black and a chocolate brown color. 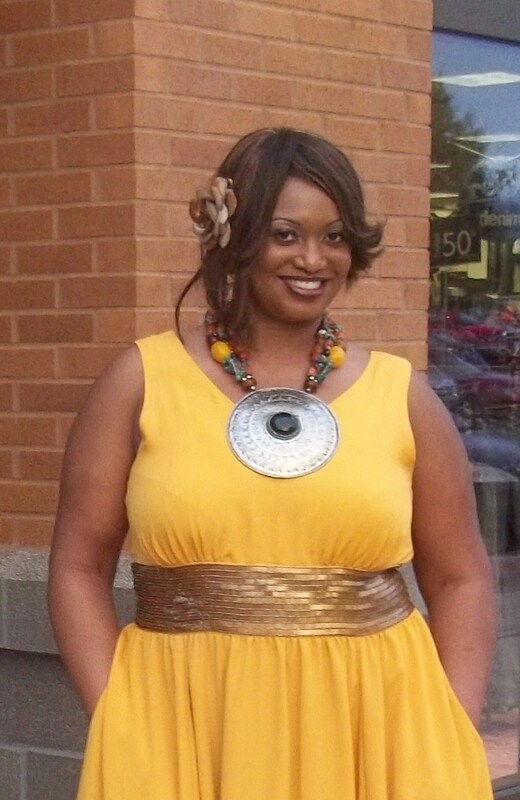 To me the yellow color really stood out and the gold empire sequined waistband completed the look. Then my aunt loaned me this statement necklace that she made and I felt like a queen for the day. I literally didn’t wanna take this dress off that night. All day long I was flowing in it with every step I took. A great feature about this dress is that it has pockets on each side. So I was able to keep my cell phone close as well as notes for the show in my pockets. I really love this outfit!! Your necklace is amazing!! I Love this look especially the necklace! That is a seriously fantastic outfit- I especially love the necklace. rock on!